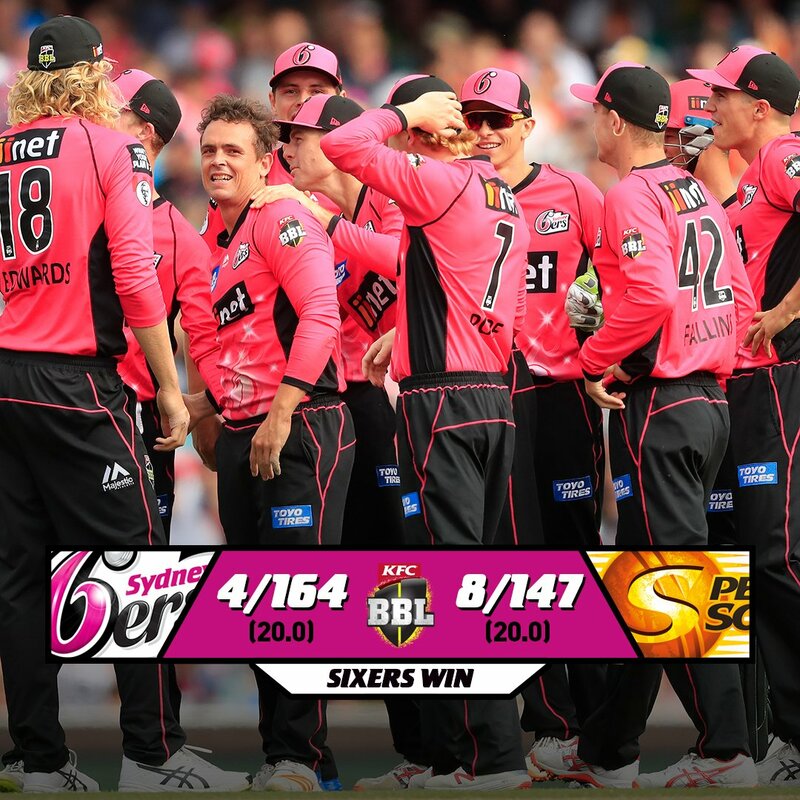 Home / BBL / Sixers win by 17 runs. Sixers win by 17 runs. 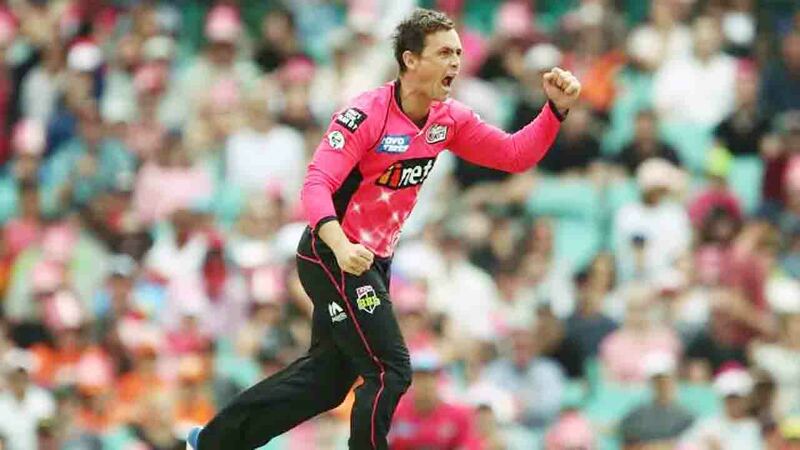 Sydney Sixers vs Perth Scorchers. Sixers win by 17 runs. A Jordan Silk unbeaten half-century has guided the Sydney Sixers to 4-164 in their Big Bash League clash with the Perth Scorchers - and he will have a couple of bruises to show for it. Silk (67 not out) and Daniel Hughes (62) resurrected the Sixers’ innings after the Scorchers claimed the early ascendancy on Saturday afternoon at the SCG. After coming to the crease with the home side at 3-30 in the fifth over, Silk copped a blow to his shoulder off Jhye Richardson with the first ball of his innings. He wore another bruising when Hughes drove down the pitch, hitting him in the mid-section. The pair put on 124 for the fourth wicket after Jason Behrendorff (2-28) had the Scorchers on top early when he removed Jack Edwards (13) and Moises Henriques (2) with his first two overs. The Sixers launched in the final overs with Hughes bringing up his 50 in spectacular fashion with a massive six to mid-wicket off Andrew Tye before holing out to Ashton Agar at long on.